There is something about a man in uniform that makes the ladies go all doe-eyed. But with a handsome groom like this, can you disagree? 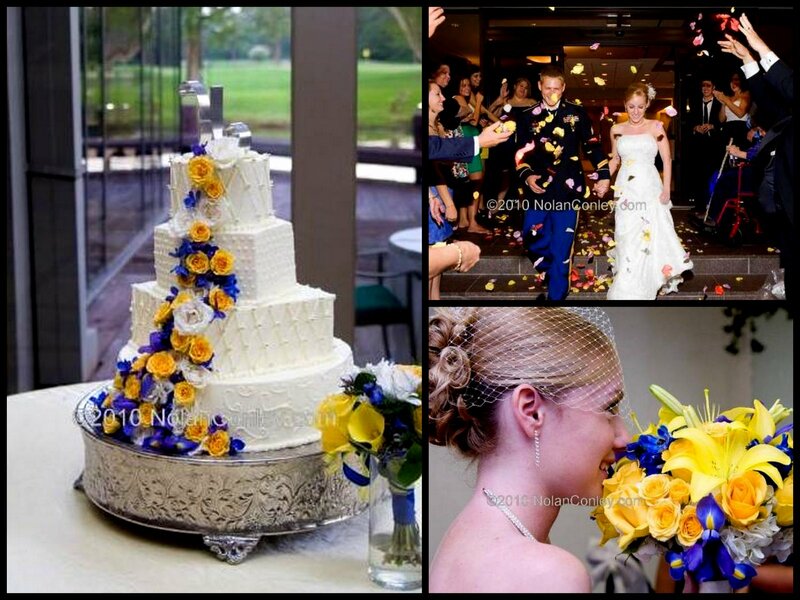 This lovely couple had a vibrant celebration with yellow and blue accents throughout the ceremony and reception. Kari's bouquet was a traditional style handtied with lots of texture and variety. 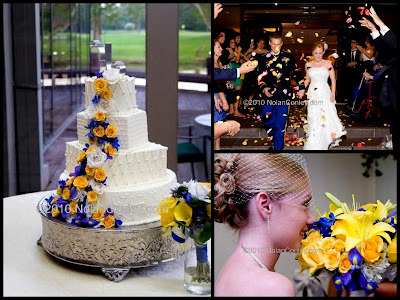 Her flowers included blooms like hydrangea, asiatic lilies, iris, miniature garden roses, delphinium and full size roses. 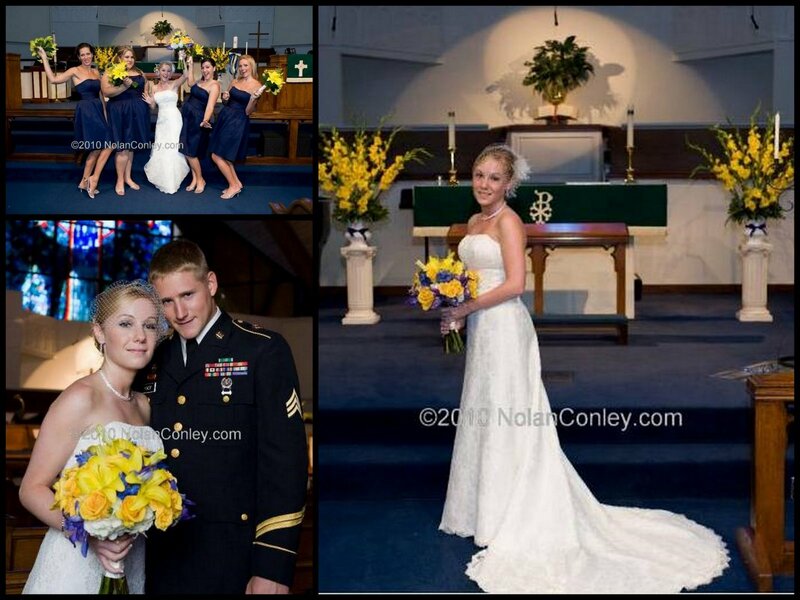 Her amazing photographer (Nolan Conley) has generously agree to let us use his prints for our blog. Their talent is unmatched in capturing the moment. No matter how many pictures we take, we never seem to capture the emotions of the day quite like they do. I love the picture of Kari and her new man leaving the reception. It really showcases their grand exit with multi colored petals flying everywhere. They were a beautiful couple, and we were happy to be a part of their big day.